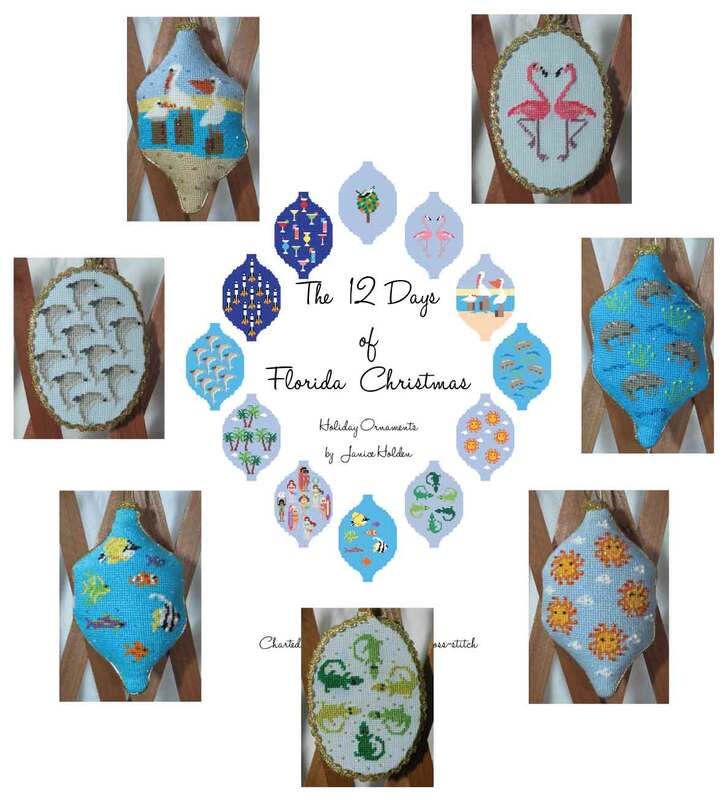 12 Days of Florida Christmas ornaments. 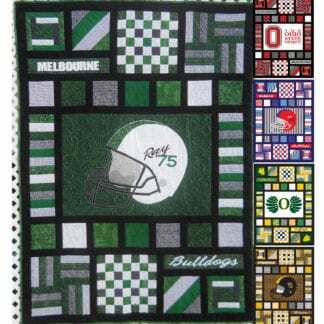 E-book with needlepoint and cross stitch patterns. Clear, easy-to-read charts that make it so easy to whip up these adorable ornaments quickly. Create the complete 12 Day collection, or select a a few to give as gifts. Perfect tropical holiday style! Each ornament reflects a different aspect of life in sunny Florida. 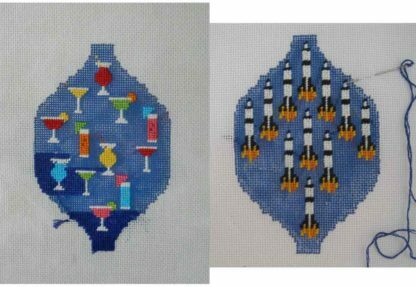 From the official state bird to beach babes to rockets, each design is a special tribute to our beautiful tropical surroundings. The classic, re-imagined as the 12 Days of Florida Christmas ornaments. 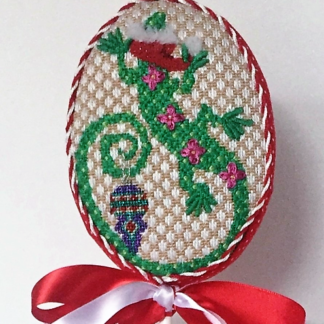 Needlepoint and cross stitch pattern book provides clear, easy-to-read charts that make it so easy to whip up these adorable ornaments quickly. Create the complete 12 Days collection, or select a a few to give as gifts. Perfect tropical holiday style! 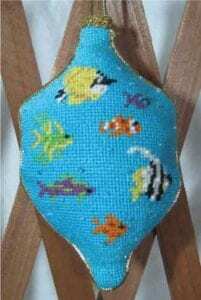 Many years ago, a local needlework shop owner suggested this idea, and I loved it. 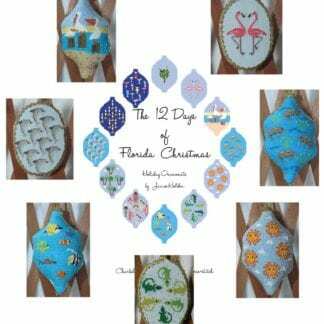 I designed the 12 Days of Florida Christmas, inspired by our beautiful tropical surroundings. 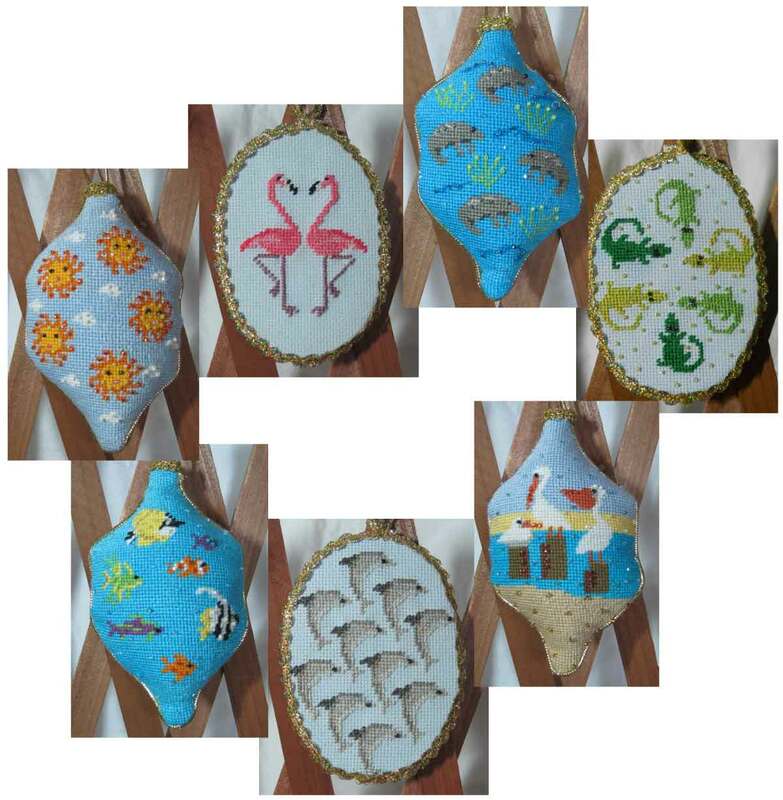 Each ornament reflects a different aspect of life in sunny Florida. From our official state bird to beach babes and rockets, each design is a special tribute. 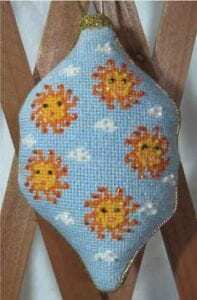 Ornaments are approximately 3″ wide x 5″ long using 18-count fabric or canvas. 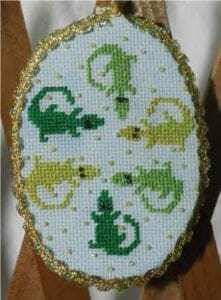 Ornaments are about 4″ wide x 6″ long using 14-count. I designed the ornaments using 18-count with four strands of DMC floss, but the options are pretty much endless! 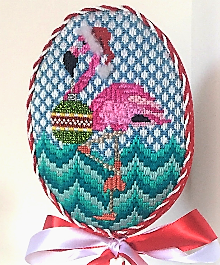 Try using metallic threads and a few beads to add some holiday sparkle to your 12 Days of Florida Christmas ornaments. The more you play with these and indulge your creative side, the more fun you will have! 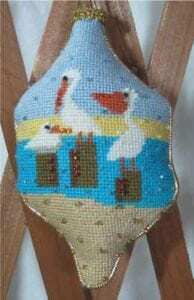 Ornaments can be made in marquise or oval shapes. Day 1: A mockingbird in an orange tree. Celebrating Florida’s official state bird, and state fruit. 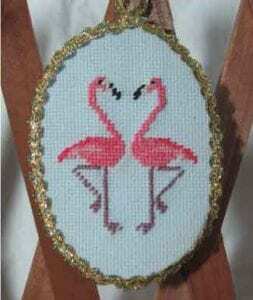 Day 2: Two beautiful pink flamingos, posing for the camera. Day 3: Three pelicans. The pelican, the pelican…his beak holds more than his belly can! 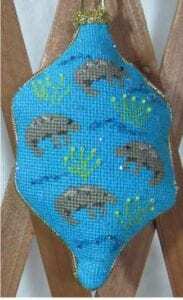 Day 4: Four manatees – perhaps the original mermaids? Day 5: Five golden suns. We only have one, but it shines so bright it seems like five! Day 8: Eight beach babes playing. Bikini clad cuties can be found on every beach in Florida! Day 10: Ten dolphins leaping. We love to watch our dolphins play off the coast, and in our rivers! Day 12: Twelve tropical drinks. Who doesn’t love to relax and enjoy a refreshing tropical beverage!